Watching this new take on the hell-born hero of the comics is akin to witnessing someone try to shove 300 pounds of laundry into one suitcase. You know it won’t fit and it’s just going to be an embarrassing sight but you can’t help but watch the results. And it’s this overstuffing and baffling assembly that makes Hellboy’s ludicrous, emotionless, and thud of a fantasy such a treat to watch as one of the most uproarious trainwrecks of 2019. Let’s address the elephant in the room right away. Yes, Ron Perlman’s acting as Hellboy was a perfect fit for the two films directed by Guillermo del Toro. And we could place those two stellar productions in a separate box and judge this film as its own thing but then we’d miss out on an opportune example for show versus tell. Consider how del Toro’s movies were so eager to show, brandishing a seemingly endless slew of creative creature designs and lavish locations. Now look at this film with monsters most bland and dialogue that is 95% exposition about either a characters fully-explained backstory or what they’re going to do next. No chance of Hellboy slowing down for a beer to get to know him better. It’s not that David Harbour couldn’t make a good Hellboy. I particularly like that scowl and look of rage on his red face when he takes one too many beatings. But there’s no time to enjoy him in this role as he is handed a script that requires him to spend more time talking about the plot at hand than ever developing a character all his own. Even when there is a scene of him drinking at the bar, we catch up with him too late, where the most insightful conversation he has is with a scorpion. Hellboy hangs out with other characters with limited and wasted potential. Take his adoptive father, for example, played by Ian McShane with real grit to his voice when describing the coming threat of an evil witch. He gets the film started off right and then is shoved far back into the story where he has to bark in order to be heard. 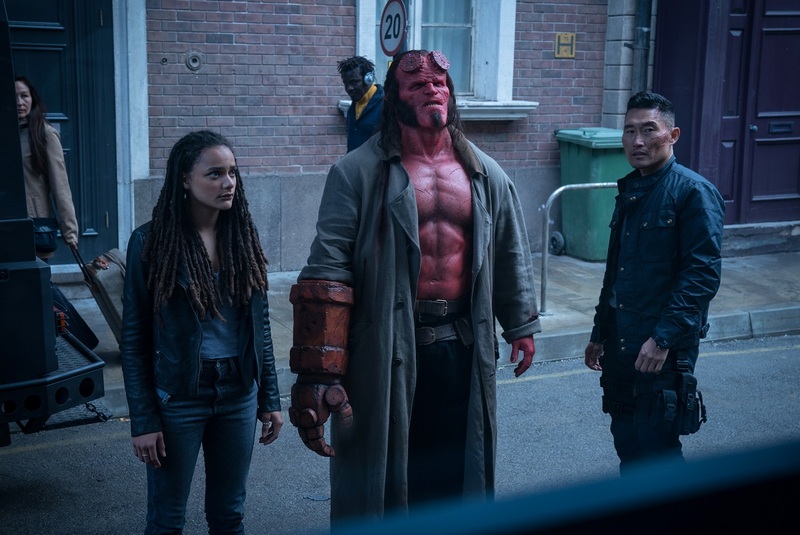 For most of the film, Hellboy works alongside the ghost-puncher Alice (Sasha Lane) and the no-nonsense soldier Ben (Daniel Dae Kim). They need to stop the Blood Queen, Nimue (Milla Jovovich), before she brings about hell on Earth, a prospect that doesn’t sound so bad when Hellboy hears her pitch. But, wait, why would Hellboy want to betray humanity? Is he shunned by the people he saves? Yes but we’re more told this than ever fully addressing the emotional toll on his psyche that has to drown his sorrows in booze and smashing faces. It’s rather stunning how this film finds so much to do and never makes it stick. The road to the Blood Queen has plenty of pit stops for giant slaying and vampire wrestling but with stakes not as heavy and overflowing with exposition. Seriously, nobody ever shuts up in this film that keeps talking about its plot in the most boring of tones. Even a rusty service elevator can’t stop talking. One area where the film could have proven itself better over del Toro’s version is a giddy R rating, meaning far more blood and guts. Ah, if only the film had more of that vicious horror angle to fall back on. The majority of the film features Hellboy getting the crap kicked out of him by giants and demons, requiring him to go flinging through the air and slamming into walls. And, like most of the brutal kills, its a sloppy splash visual effects so muddled with flaky compositing. Watching Hellboy take on giants by swinging around a massive sword should be fun; I shouldn’t be wincing in my seat for the garish VFX that I know are on the way. Hellboy just doesn’t have any heart, even for a film about a cigar-chomping demon from hell. Characters babble on and on about backstories we don’t care about, speak in emotion most mundane, and sling jokes that all land with Earth-cracking thuds. I did, however, have a laugh at marveling at the film’s unfocused nature, where the Blood Queen starts zapping English people with the plague, leading to a news report that doesn’t know where the plague is coming from. Yet they know its a plague and quickly have a graphic setup for how quickly it’ll spread. And with so many additional characters that do nothing for this story, including brief and baffling appearances by the aged corpse of Merlin and Thomas Haden Church as a golden age hero, there’s not enough time to wrap your head around this ridiculous plot let alone be invested in its characters. 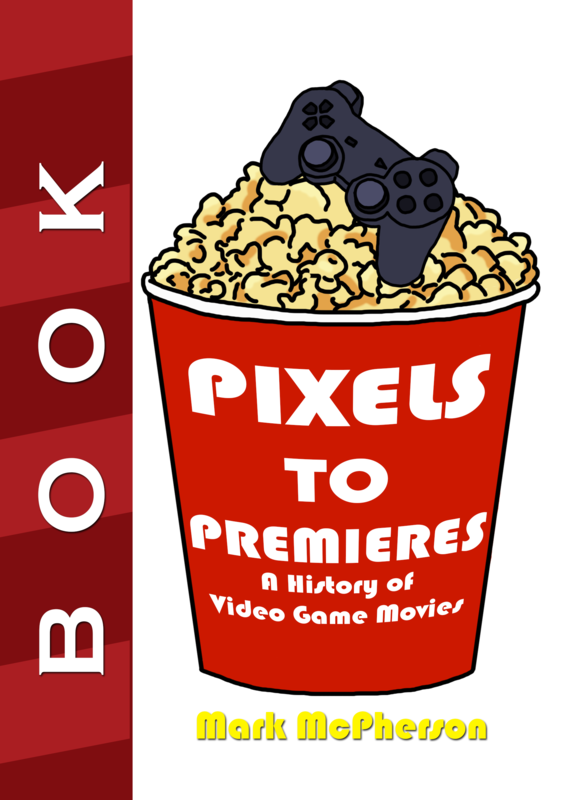 If anything, the film is best digested as an example of improper filmmaking. Show and don’t tell. Talk but don’t drone. And if you can’t properly composite a demon dude tangling with giants in a daytime setting, maybe it’s best to shoot around that scene.